Thank you for your input on the Wonderland blocks! I’m still uncertain, as to what to do – 15 of you said even quarters, 9 wonky, and 6 said leave them alone. Part of me really wants to work beyond my usual geometric and go wonky, but I’m not certain yet. I’ll let you know when I figure it out! I’ve had this idea on my brain for a while, and thought it would be a good summer project with my girls home from school. 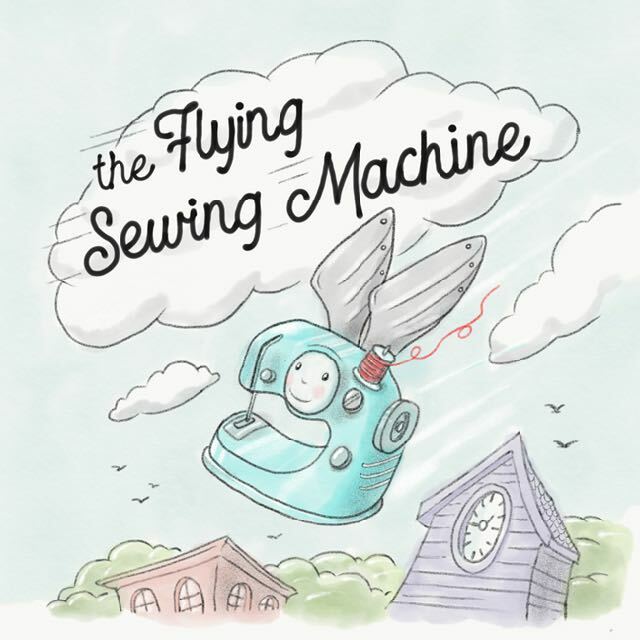 I have already taught Ella (11), to sew, Emmalie (7) and Sophia (6) have expressed interest too — so the thought is to share project ideas and teaching methods for small kids to learn to sew in a fun way. That way it’s always fun, and something to look forward to! 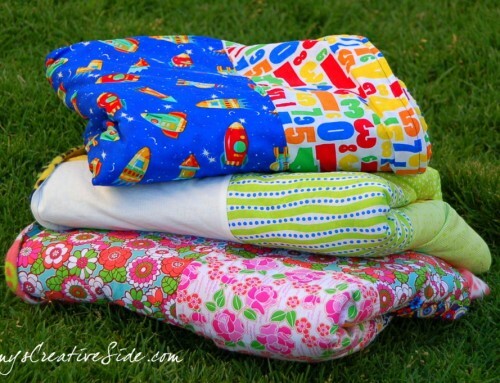 Do you have fond memories of learning to sew? Have you shared your love of sewing with the next generation yet? I’m excited to see how the summer goes! 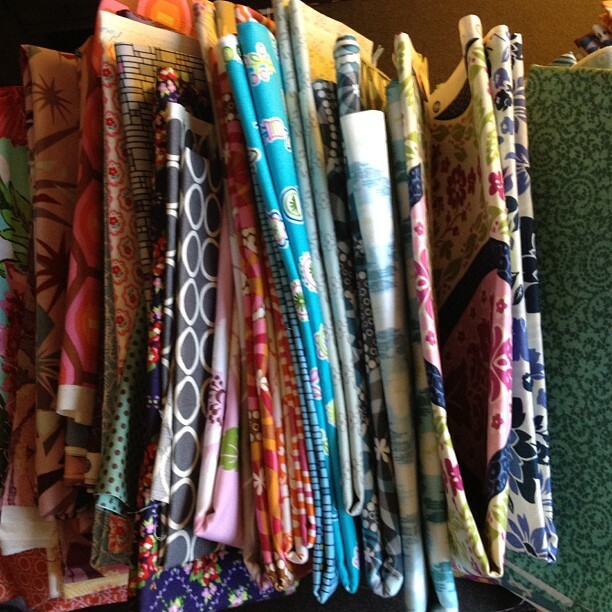 I thought we would start with a few hand sewing ideas, and move to sewing on the machine in a few weeks. I added button code to my sidebar if you would like to share with your readers too! My 5 year old just asked me if he could make a quilt for his friend. I’m thinking we could do a patchwork square quilt together sewing with him on my lap. I do have fond memories of my mom teaching me and using her old Viking sewing machine. I think with the right safety precautions, it could be a great summer plan. I do have fond memories of learning to sew. I think a small projects of hand sewing are a good way to start, but very soon move to the machine, as I think children have more of an interest if it is somewhat quick and also – something for themselves. I remember sewing doll clothes at a very yound age and then making PJ’s for myself as my first project. I was very proud. When my mother taught my daughter to machine sew (I worked and she had fun doing this with her some in the summer.) she also began on a nightgown and was quite proud of herself. She went on then to make a jumper for herself also. 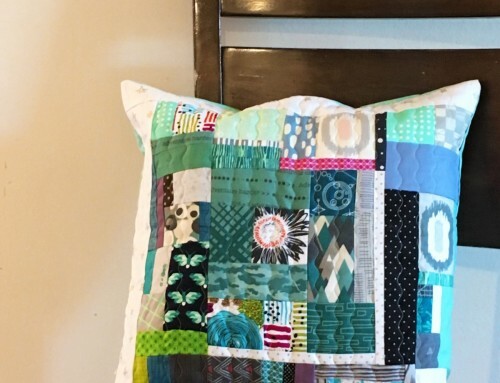 Now she quilts after being introduced to quilting many years ago by my mom and then also getting a kickstart by her mother-in-law, a very accomplished quilter. I think it is a great idea. I did some projects with my kids when they were young (all grown and gone now!) and even though none of them are quilters, they know the basics if they decide to do any sewing.I don’t have any kids to quilt with right now, but have taught kids quilting classes in the past. They are usually very eager learners as long as things are kept simple and projects not too big! Alice has done little things , but she doesn’t have the patients yet for her little mistakes I think I may have a perfectionist on my hands. But she wants to learn. We have fabric that she picked out for a quilt and designed the pattern to the blocks and has started stripping they. but has been shelved for a while now, life just got to crazy too fuz with it. Were planning on trying it this summer some more shes alittle older now. My mom wasn’t a sewer, but my grandmother was, so I learned a little bit about hand-sewing from her during summer vacations (and she made me lots of beautiful dresses over the years and a white apron with special stitches in red…she was learning how to use her “new” machine, and I loved it!). I was always very interested in learning how to sew clothes for myself, though, so I took a class from a lady in the neighborhood on how to sew clothing, and I must say, it put me off sewing for quite awhile. It was so much work, and my end product (a plaid jumper/over-all style garment) didn’t fit well and wasn’t very attractive (looking back, it was a bad pattern choice for my figure, the lady didn’t know how to fit/alter the pattern, and choosing a plaid for a first effort was crazy). Same story with other ladies in the neighborhood who tried to help me make shorts (we had to seam-rip all the seams 3x before we got it right…but with some interesting “skirts” in the process!). The project that kept me from leaving sewing altogether was a quilt that I made for the baby that I baby-sat for – complete with a large cross-stitched bunny. 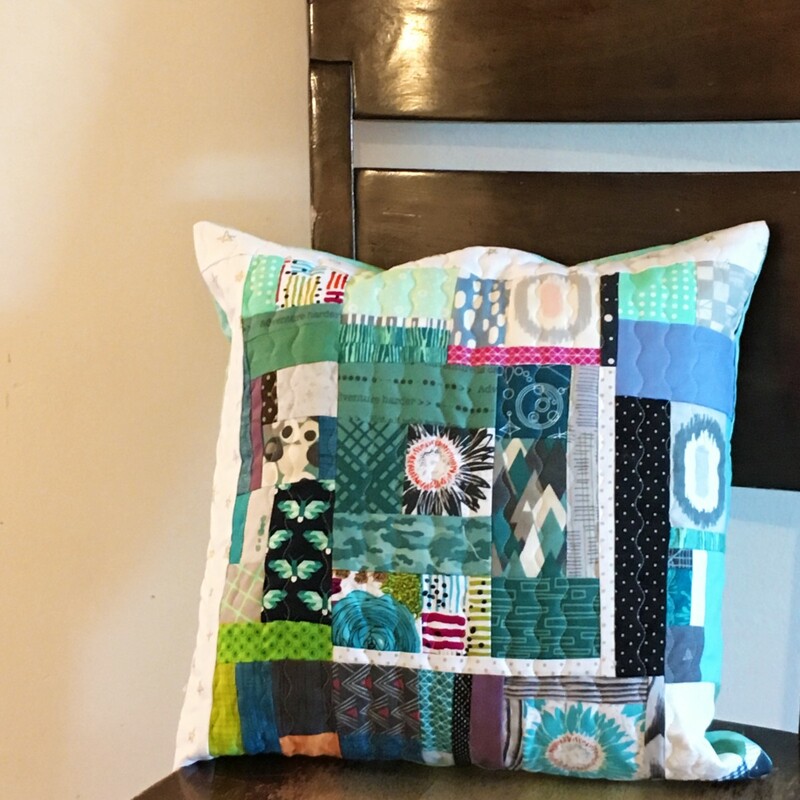 That was a great project because it incorporated hand-stitching (counted cross-stitch, which I already loved) with a patchwork quilt sewn on the machine. I was about 12-13, and I was/am so proud of it. It took me another 8-9 years to get back into quilting again, but I’ve been really enjoying it for the last 13-14 years, and I even have tried some clothes sewing again (but still with some less than perfect results, despite in theory knowing how to do it!). 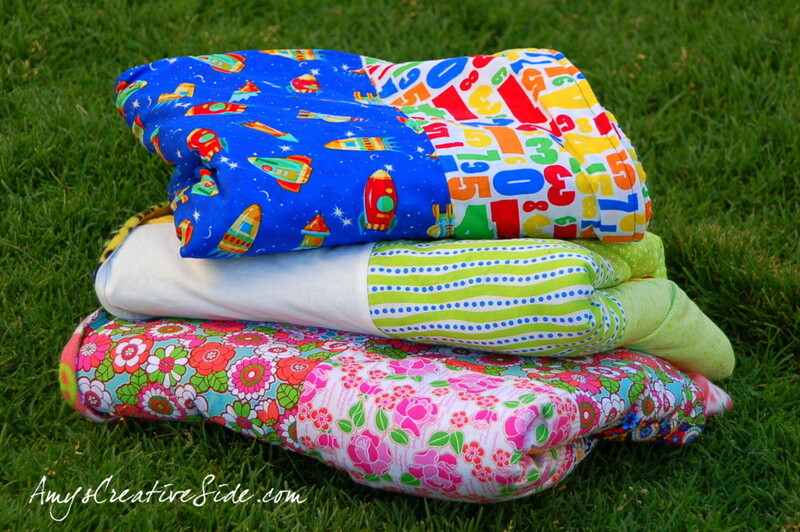 I think doll quilts would be a fantastic early project! 2 of my boys made quilts for their girlfriends (when they were in their 20’s) a few years ago. All I did was oversee them. They stitched every stitch. Having all boys it’s fun to share something I love with them that is not considered a man’s thing. Lately, I have been trying to get my 8 year old granddaughter interested, but so far she’s not interested. I love this idea! I learned to sew with my grandma when I was about 8 (this was the inspiration for my blog title). We had just bought an American Girl bed from their warehouse sale and it came without sheets. Together we made a mini-size set of sheet and matching pillowcases and quilt. It was a great starter project because it was just simple straight seams, but I got to take a lot of pride in the result. We also made some clothes for my doll but I wasn’t as able to be as closely involved because it was a lot more challenging. Wonderful! My daughter bugs me about learning to sew all the time. I say “bugs” because she usually asks right when I am in the middle of doing something myself. I guess I need to get her a machine as well. Oh, how about I give her mine and I get a new one! We have just started some embroidery so I’m up for any ideas you have to offer! My mom didn’t teach me to sew. She sewed though. I have a 7-year-old niece I’d like to do some sewing with. Hi Amy. I taught my girls to sew, first by hand stitching and then some hand embroidery, then the machine. I taught them on my grandmother’s Singer featherweight, which my grandmother used to teach me. Now they are all grown, and 2 out of 3 still like to sew, and one is getting ready to make her first quilt since the one they made in home-ec in high school. I love sharing this hobby with them. 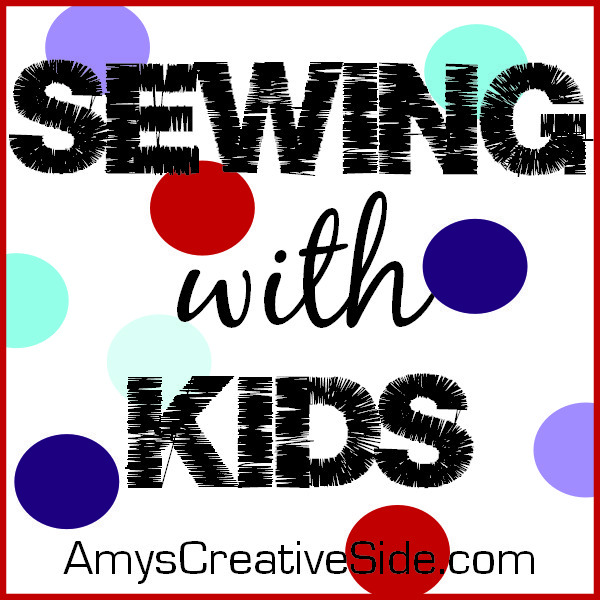 I have very fond memories of sewing as a child! My mom did all kinds of needlework (including quilting) and she started my sister and me out with simple embroidery and moved on to beginning needlepoint and cross-stitch kits. Later we got into clothing and quilting when we were old enough to use a sewing machine. I don’t know how many projects we actually finished (short attention span), but I definitely look back at it fondly. I think it’s a great idea to start them out young, especially if they seem interested. And try not to be upset if they don’t finish the projects – I still have a problem doing that now! 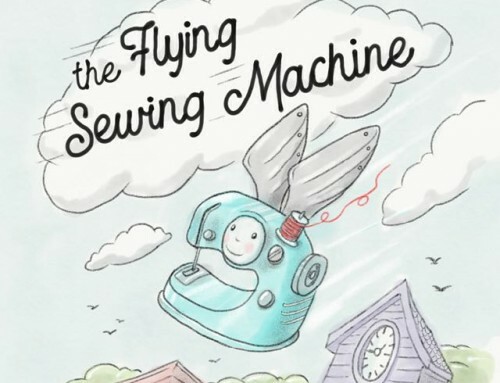 Sounds fun – my boys have absolutely refused to learn, lol, next time they need a button I’ll hand them needle and thread. Their dad knows how to sew! My daughter would love to do this for her summer project–she’s already done some hand sewing, but hasn’t done anything on a machine yet. I have a hard time finding simple appealing projects for her to make on her own. I just started with my almost 7yr old daughter a few weeks ago and she LOVES it. Can’t wait what you come up with!! This sounds great!